Epson Corporation have announced that the N6 compact 6-axis industrial robot, which was announced last November, will be rolled out globally this month. 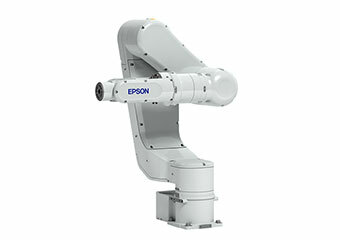 Epson writes that with its "folding arm design and a long (1,000 mm) arm, the N6 can access locations that are higher" than those accessed by the N2 and Epson's 900-mm class 6-axis robots (the C4L and C8L). These features can help create vertical layouts of factory shelves and equipment instead of horizontally. This allows use of normally wasted space. 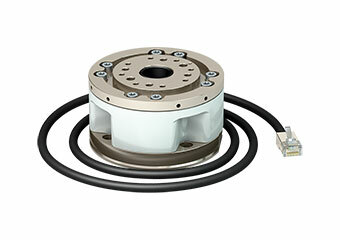 Related to this announcement is the availability of the SH250LH hollow force sensor that can "allow cables and hoses to be routed through the center of the arm". The hollow arm of the N6 robot reduces the risk of cable pinching and therefore the possible loss of connections when working in narrow spaces. The SH250LH sensor has a hollow design too. Cables and hoses can be easily routed through the sensor as well as the arm. For more information about these and other Epson robot solutions, see the Epson Technologies Supporting Robotics Innovation pages.